The order of those themes isn’t related to their quality. Take the time to browse the page. 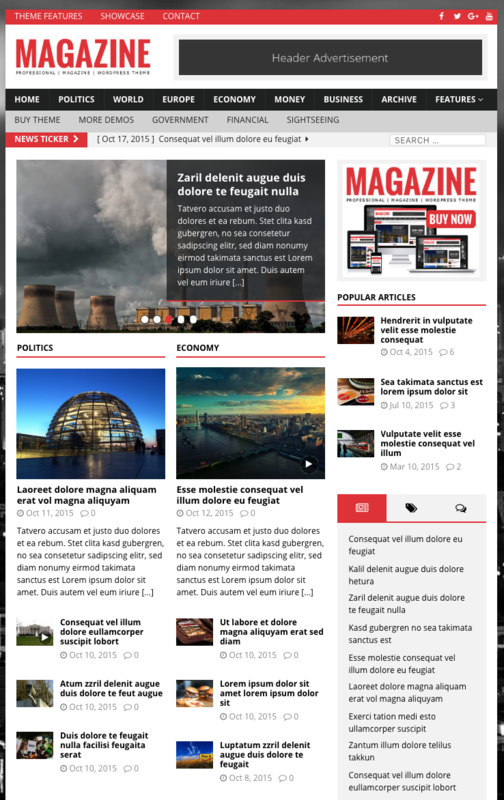 SmartMag is a boxed and full-width wordpress theme for news, magazine and blogs. The homepage can be . This theme is fully compatible with Woocommerce. So, it is perfect for those who want to sell products or services from their blog. It is also compatible with YARPP to display related posts so that the related posts are well integrated into the theme. Its page builder looking like SiteOrigin is impressive because it also features post list blocks to display the post lists on the homepage. Look at the screenshot below taking into account that one column is equal to one block. There are several block types. Consequently, you can fully customize your homepage without buying a site builder like Elementor, Beaver Builder or WPbakery. Annoying CSS animations which can be deactivated by CSS code customization because they slow down the navigation. The full width is not a full screen mode but a wide mode with large white margins looking like a wide boxed theme. It does not fill up the screen. 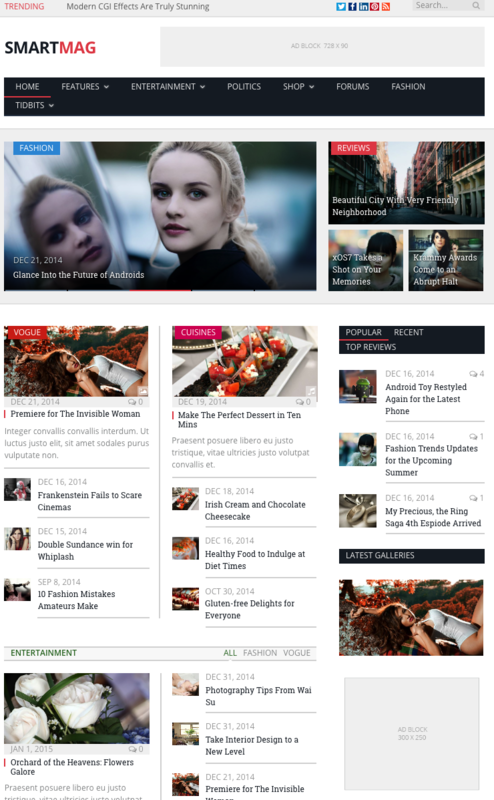 This wordpress theme suits news and magazine themes for people who are looking for a boxed classic theme. It uses the widget panel of wordpress to setup the homepage. Thus, building a homepage for MH magazine has some limitations. If you don’t like one of homepage layouts be aware that it is hard to build another layout with different number of columns. For sure, you can use a page builder start from a blank screen for the homepage. On the other hand, the layout for articles (Title and text size, font, position) and the sidebar elements are really perfect. Homepage that could be difficult to customize when the default layouts don’t fit the needs. Magazine pro is a child theme from the Genesis parent theme. It means that when you buy the Magazine pro child theme, you first install Genesis and then magazine pro. The magazine pro. theme is really classy because it comes with black & white color. Starting with a “neutral” layout is a good thing. The layout can be customized thanks to the widget panel of WordPress. Consequently, if you like the default layout it is good news because your homepage blocks should look like on the demo homepage. An alternative approach would be to use a page builder like WPbakery, Beaver builder or Elementor and create the homepage from scratch. The titles and the texts are easy to read. I think that Magazine pro theme is the best in terms of visibility. Newsmag is a well-established paid theme. It is a fully responsive boxed theme. It features modules to display 5 thumbnail articles and excerpt in a little block on the homepage by category or most recent. Every layout allows adding a 728×90 leaderboard ad banner in the header. It comes with its own page builder which let you build your homepage and pages using drag&drop. You can translate this theme because a translation module is included with the theme.